The ability to deploy AUVs to cruise over long distances without mother ship support has major implications for science. Regular cruises are now carried out, seeking knowledge to improve our understanding of global climatology, marine flora and fauna and the geology of, for instance, the mid–ocean ridges and the associated plate tectonics. Because no mother ship is required, research and exploration can also be carried out under the pack ice. There is also much scope for cruises to gather data to currents, seismic activity and seabed geotechnics for the oil industry. This will feed into the design of offshore installations, with particular regard to hydrodynamic loading of deep draught, surface–piercing structures, and the mooring systems they will require. These results, and others, will also be used by the scientific community to enhance data obtained by scientific AUV cruises. 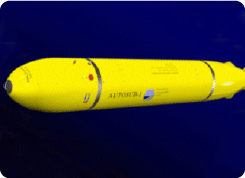 Autonomous Underwater Vehicles (AUVs – those without umbilicals) are limited in their ability to perform many of the tasks associated with the offshore hydrocarbon industry, because they are heavy and dextrous, and consume significant amounts of power. 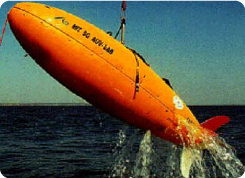 However, there are tasks while, while not urgently requiring AUV technology, will be undoubtedly be performed in this manner once the techniques are proven. 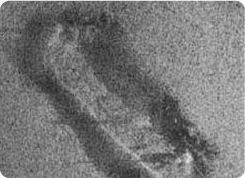 Such tasks include inspection of submarine pipelines and their associated systems that confirm integrity. Benefits will accrue from the ability to launch vehicles in narrow weather windows that deploy on major tasks unhampered by weather sensitivity. The UK Sector of the North Sea alone is host to some 8000 kilometres of pipeline, so this is no significant task. Similar payloads will be required to conduct route surveys prior to installation of pipelines and submarine cables and before tow–out of structures; once the cost–effectiveness is proven the techniques will surely be used in man parts of the world, especially in deep water. The ability to range far and without close support is a value in surveillance applications such as mine countermeasures where AUVs can be dispatched on pre–determined tracks to develop logic and control algorithms to enable the AUV to decide whether to break off from the given task for close investigation and report back before resuming the search pattern. This also has implications for the navigation systems.